Pecan are a community development charity that works to challenge inequality and injustice in our society, while also enabling those individuals that fall victim to them to believe in their potential. 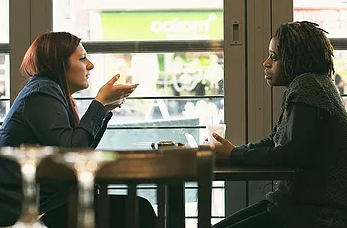 We spoke to Janine Adeleke, Employer Engagement Consultant at Pecan, to learn more about their ex-offender employment programmes. Based in Peckham, South London, they have worked with 27,000 people over to past 25 years. Taking a holistic approach to community development, Janine says that “At Pecan we assist those who experience disadvantages relating to poverty, long term unemployment, offending history, and other challenges to gain employment, independence, inclusion and control over their lives”. To deliver this Pecan provide emergency support to the local community through their 'Foodbank', help people who wish to volunteer within the community to do so through their 'Hourbank', but the mainstay of their work focuses on employment, and, in particular, their ex-offender employment support projects. Pecan runs two ex-offender work programmes 'Empower', an employment support programme, and 'Moving on', a resettlement coaching project for women transitioning back in to the community after serving a prison sentence. Through 'Moving on' Pecan are able to provide intensive support to their participants with 12 one-to-one coaching sessions that are tailored to each person, and led by the needs of each individual client. Katie Kelly, the Manager of the 'Moving On' programme says that, by delivering the programme in a “coaching form, which means not doing stuff for people that they can do themselves, but helping them to break down goals that seem completely overwhelming” they are able to help people see that they can be the driving change in their own lives. Or as Chris Price, Executive Director of Pecan, states Pecan provides a service allows the women “to dig in to themselves, and find the qualities that will help them as they come out of prison, to lead a more sustaining and fulfilling life”. Through out these sessions the focus is on helping the women to set goals for their future, but vitally they provide an often overlooked need to provide people with love and care as they go through the disorientating and difficult experience that is resettling back in the community. A core part of both programmes is employment, and 'Empower' focuses directly on supporting those with criminal records into employment. The programme is build with the aim of supporting people as individuals through out the entire process right from helping with CV writing, providing specific work training courses for things like health and safety, food hygiene, or COSHH (control of substances hazardous to health), for example, up to introducing candidates to employers. A key focus of the work the Pecan now does is reaching out to employers to show that within Pecan there is a great pool of talent that they can access. 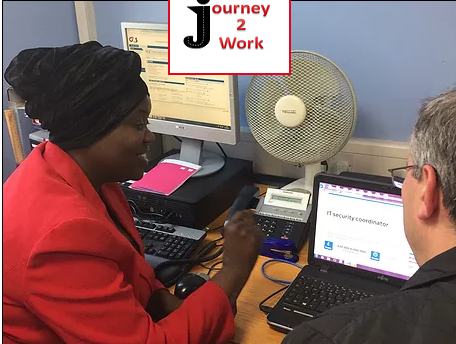 Janine Adeleke, who leads the campaign to build Pecan's network of employers, states “My role is to engage and find employment and apprenticeships for Pecan's clients with forward thinking employers. I hope to demonstrate that although our clients are often marginalised in society, Pecan can provide candidates that will make successful and valued members of staff…. that create social value”.